BOOM! has posted a preview for the first issue of the upcoming Harmony miniseries. Check the preview out if you’re curious about what to expect from the miniseries (great things!). 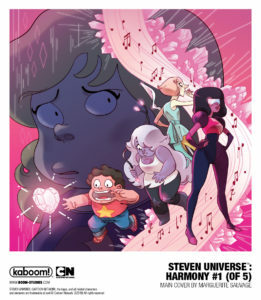 As a reminder, Harmony #1 will be out in August. Don’t miss it!